During the interwar, the doctrine of the War Office changed, especially after testing different tankettes, the Medium Mk.I and the Light Mk.I/II in real time exercises. It was clear by 1935, in the context of the economical crisis, that only two main models would be kept for service, an infantry tank, slow but well-protected, and a cruiser tank, to exploit breakthroughs and attack deep behind enemy lines. The concept in itself had already been tested in 1918 with the Mark A Whippet, replaced by the Mark C and D, which were kept in service until the late twenties. But new technologies gave rise to new solutions, and there were plenty of available mechanical parts on the market and suitable engines to make a cheap, fast, lightly protected, but well-armed model. 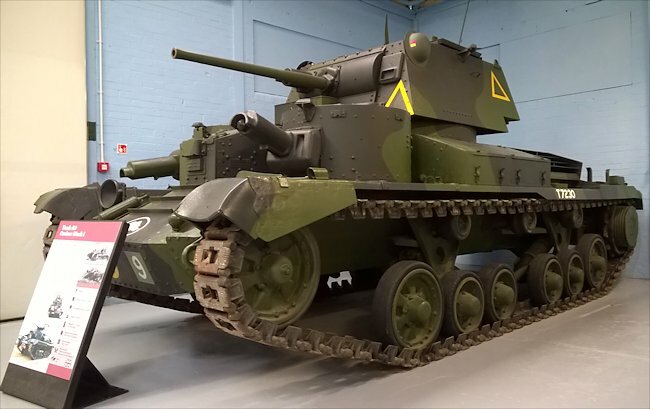 With a tight budget, Vickers-Armstrong, the main tank supplier of the British Army, turned to its dream team and also hired John Carden to work on the project. However, Carden died in a plane accident in December 1935, and when the final specifications came out, work on the plans had barely advanced. The pilot model was ready in 1936, under the designation of A9E1. The A9 was a mix of commercial parts (like the AEC bus engine for the production series) and some already used on the Light Mk.III, as well as some innovations. It was the first to use a fully hydraulically-powered traverse turret, (a Nash&Thompson system already in use on the Wellington bomber). The turret was center-mounted. It also had a system of two bogies with three road wheels of unequal size, to help reduce the number of parts while saving on maintenance costs on the long run. However, this would prove a poor design choice. The hull was made of bolted plates, because it was easier to engineer flat ones. The armor was limited to 14 mm (0.55 in) only, in order to keep the power-to-weight ratio high enough for a good cruising speed. The steering brakes were mounted outside of the rear sprockets to help cooling. There was also an auxiliary engine used to charge the batteries and drive a ventilator, cooling the fighting compartment. 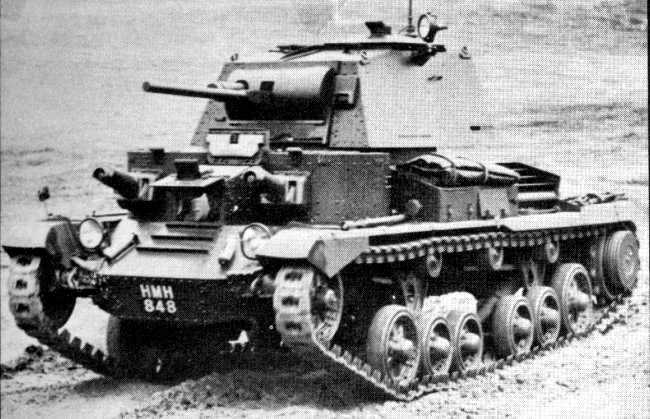 It was equipped with the standard 2-pounder QF (40 mm/1.57 in) gun, judged at that time more than adequate against most tanks. This gun was standard for all British cruiser and infantry models for a long time. To save weight, the driver and fighting compartments were not separated. The secondary armament comprised a coaxial Vickers water-cooled .303 (7.7 mm) machine gun with another two fitted in secondary turrets, on each side of the driver compartment. This configuration was derived from the A1E1 Independent and was a trademark of Vickers designs for some time. This was soon seen as an obsolete feature and subsequently dropped for the A10. With the two turrets, the crew comprised six men, in a tight and cramped space. Compared to the Infantry Tank Mk.I, with only two crewmembers, this was obviously not considered a good bargain in terms of manpower. The A9E1 prototype (powered by a Rolls-Royce engine) was accepted for production in 1937, Harland & Wolff being charged with building 75 of them on short notice and 50 by Vickers, for a total of 125. The first and last ones left the factory in January 1939 and January 1941, respectively. The A9 was considered a transitional design, before the more promising Christie suspension was refined. 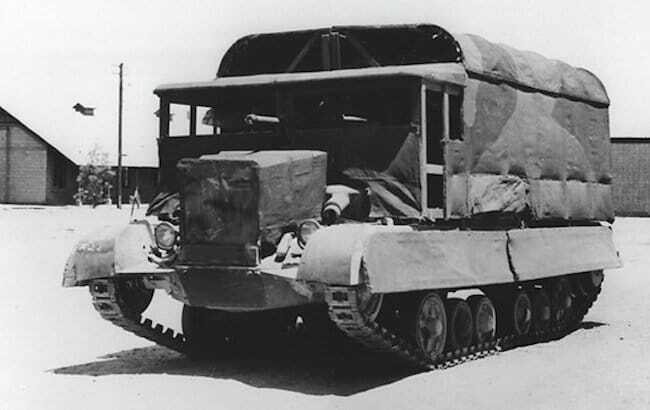 In operations, the A9 carried 100 rounds for the QF 2-pdr (40 mm/1.57 in) and 3000 for the three Vickers machine-guns. The legacy of the Mark I could be found in the upgraded Cruiser Mk.II, that was quite similar, but with an emphasis given on protection, which was doubled, and without the frontal mini-turrets. Also related was the Valentine, which also borrowed the suspension and many parts from both models, but with a new turret, better engine and increased protection. 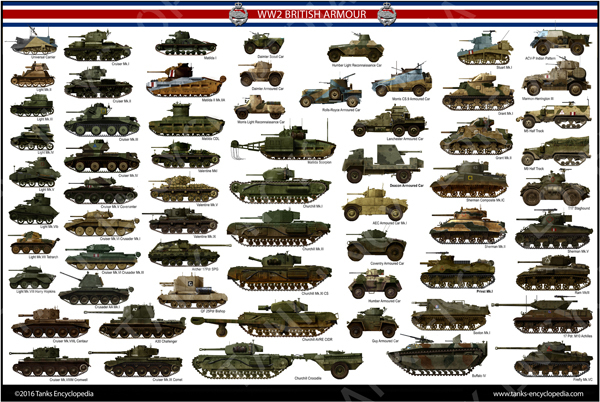 The Valentine would be the mainstay of the British tank force, with almost 8300 produced in seventeen versions. 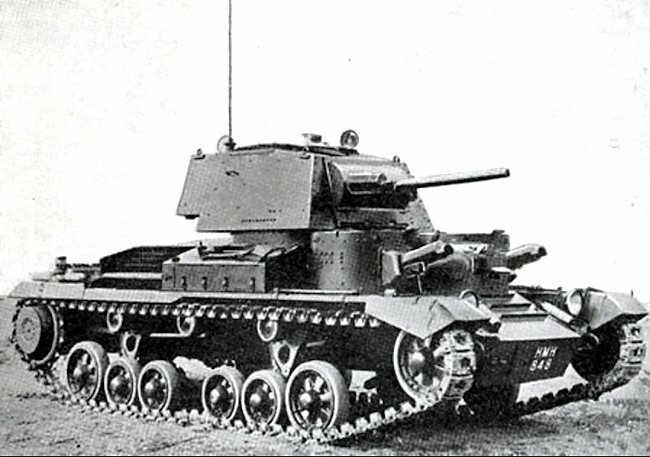 The main version of the A9 was, however, the CS (Close Support), armed with a 3.7 inch (94 mm) L15 breech-loaded mortar, capable of firing smoke rounds and HE shells. Their conversion followed by-the-book tactical rules. 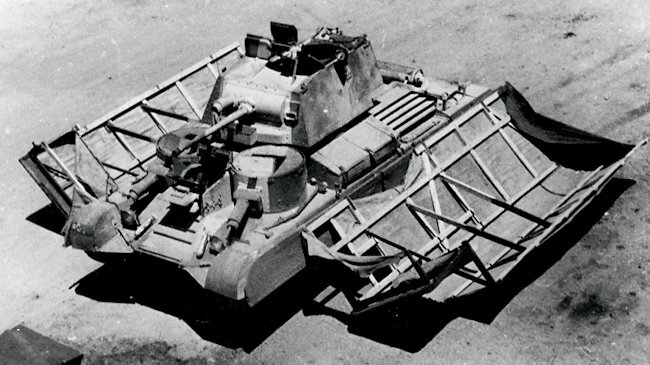 There were also experiments with a roller frame for mine warfare, a carpet device to go through barbed wire and a fording kit, tested at Christchurch, Hampshire. The Cruiser Mark I was a transitional model since the start, the first “true” cruiser being the Mark III. Like the Cruiser Mark II, its design was badly flawed and the model itself soon obsolete. The suspension pitched around on uneven ground and the tracks often fell off, slowed and twisted during trials and later in operations. The three turreted configuration was also proven unsuitable, creating many shot traps and increasing the crew number for such a small tank. The weak bolted hull and the coil springs bogies were also already obsolete by 1941. The A9 was relatively fast however, and the 2-pdr (40 mm/1.57 in) gun was in effect very efficient against most Axis tanks until the end of 1941. 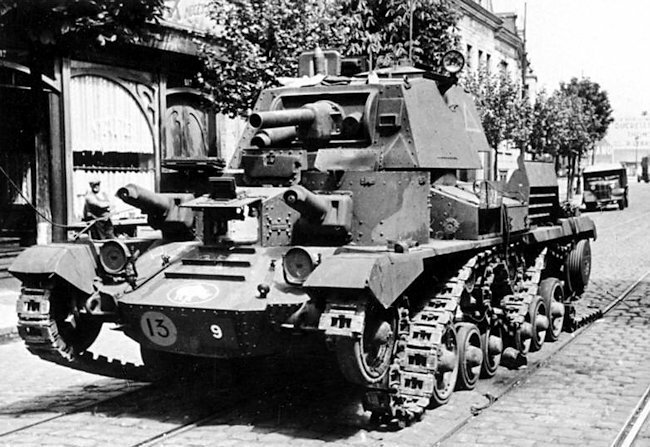 The first A9s delivered were shipped to France, part of the 1st Armored Division of the BEF (British Expeditionary Force). Most were easy prey for the German 37 mm (1.46 in) guns and the Panzer III. Many were lost during the evacuation at Dunkirk. The bulk of the next batch was sent to Africa, were most saw action until 1941, with the 2nd and 7th Armored Divisions. Another batch was sent to Greece, to help the Greek army engaged against German forces in April-May 1941. All those tanks were lost. By the end of 1941, all surviving Cruiser Is were removed from the front line and kept for training. The official British tank livery camouflage ‘Counter Colours’ shown in an official document dated July 1940 were Portland Stone (BSC No.64), Light Grey (BSC No.28) or Silver Grey and Slate Grey (BSC No.34). The grey paints were apparently originally from Royal Navy paint stocks in Alexandria, Egypt. 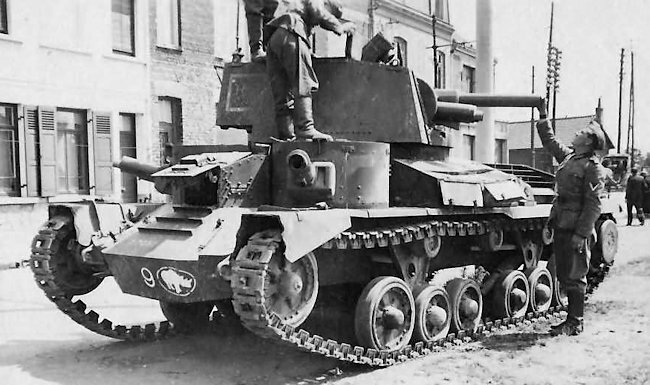 A major weakness of the Cruiser Mk.1 A9 tank’s 2 pounder gun was that it could not fire HE high explosive shells that were needed to destroy enemy artillery, anti-tank guns and soft skinned vehicles. The British War Office didn’t consider this to be a problem. 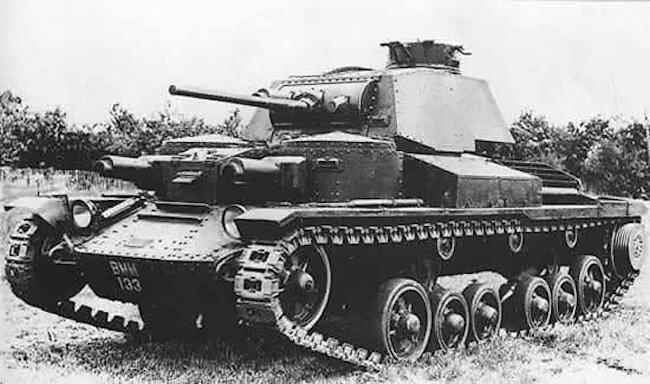 The A9 was a ‘Cruiser Tank’ and intended to fight enemy tanks. Concentrations of enemy infantry and guns would be left to specialised ‘Infantry Tanks’. Early experience against German combined arms tactics in the desert in 1941 showed the fallacy of this concept. 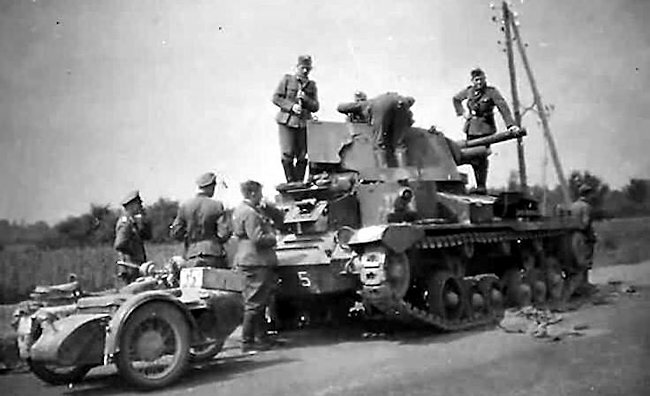 German tanks were always supported by panzer grenadiers, anti tank guns, artillery and when available the air force. 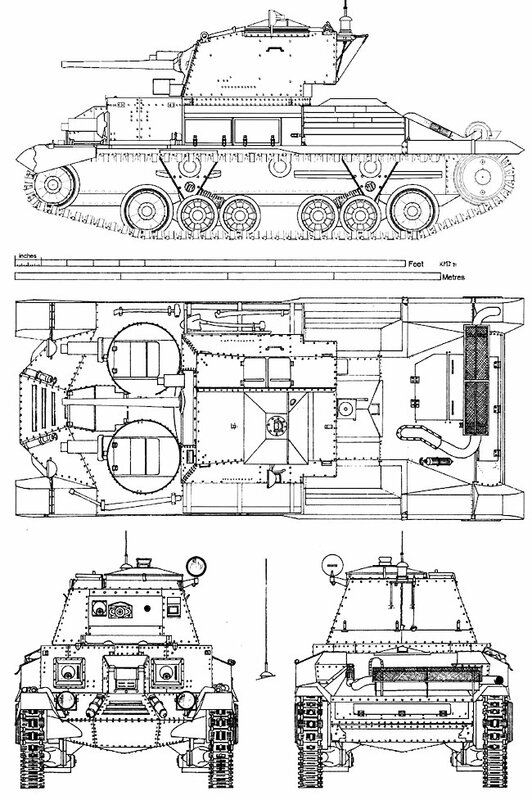 To deal with this problem a few A9s were altered and fitted with a 3.7 inch (94mm) howitzers. They fired HE high explosive and smoke shells to provide cover for manoeuvres by the 2pdr armed tanks. They were attached in small numbers to squadron and regimental headquarters. The Army gave them the designation Tank, Cruiser Mk1 CS (Close Support). 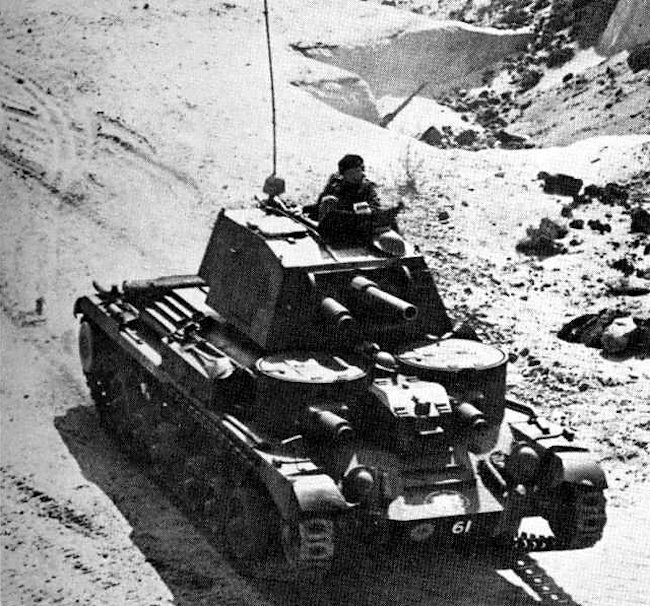 Cruiser Mk.I from the British Expeditionary Force, Calais, France, May 1940. The livery is inspired by the one displayed at Bovington. 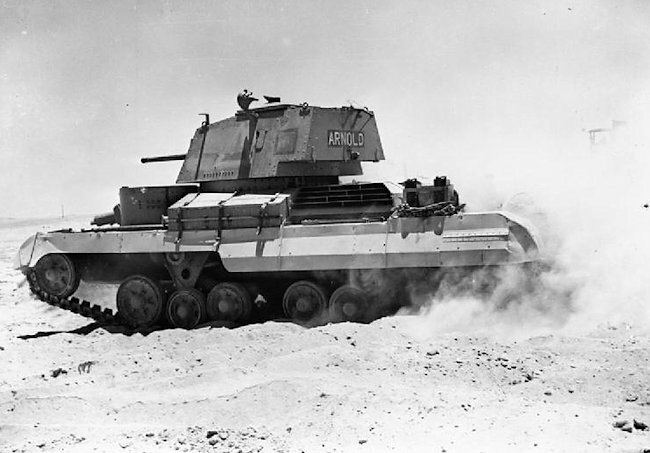 Cruiser Mk.I in Libya, 6th RTR, Western Desert, fall 1940. This was the camouflage scheme of the 6th RTR and 1st RTR. Usually, the darkest colors were at the top and lightest ones at the bottom to deflect the light. 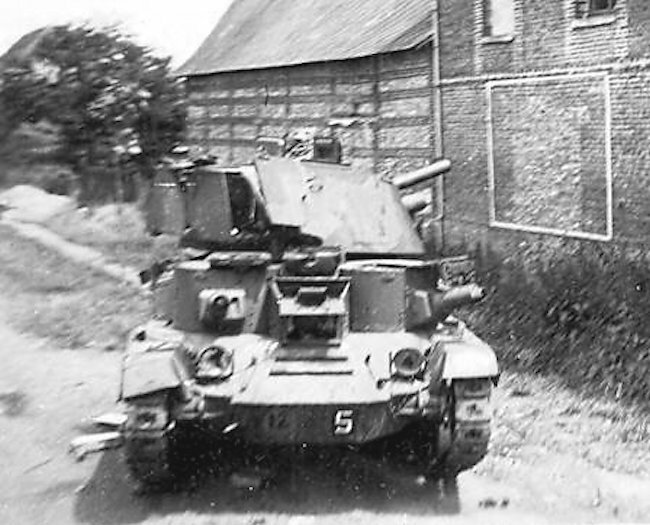 The tank name was shown on the rear of the turret, while the divisional insignia (7th AD) and unit code where in red-white squares on the front and rear of each track guard. 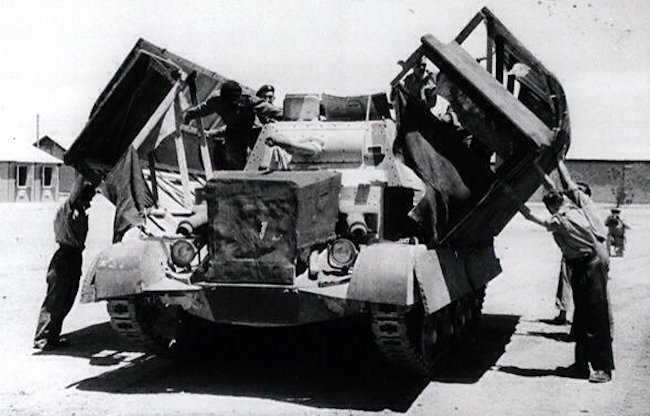 A9 in Libya, El Agheila, March 1941. Cruiser Mk.I CS in Greece, May 1941. How many A9 Cruiser Mk.I were shipped to France?